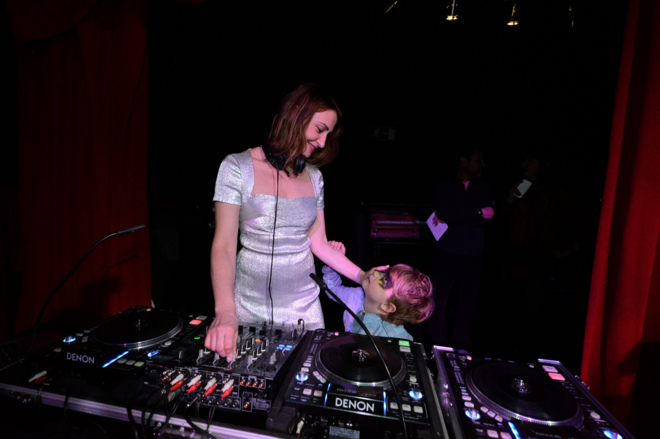 Parents and children gather around DJ Mom’s turning tables to enjoy “adult music”. According to Cristina, there is no Children’s music as it bores the parents. 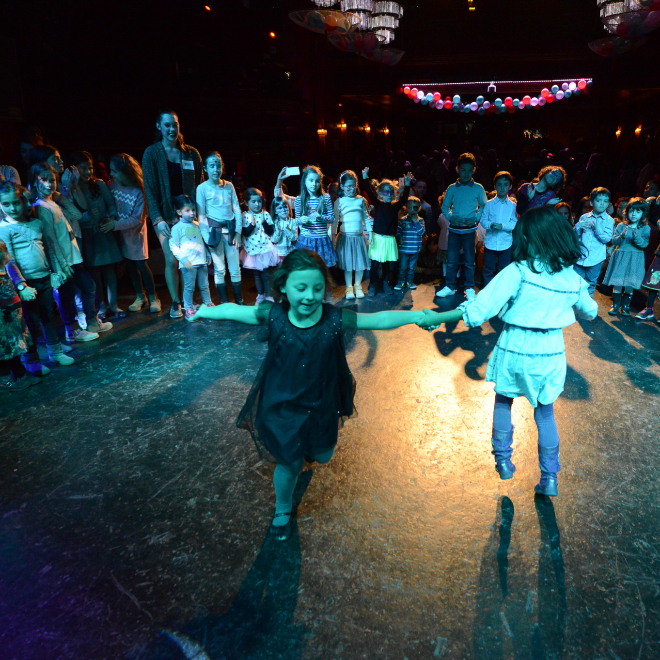 Children dance to the favourites songs of their parents. 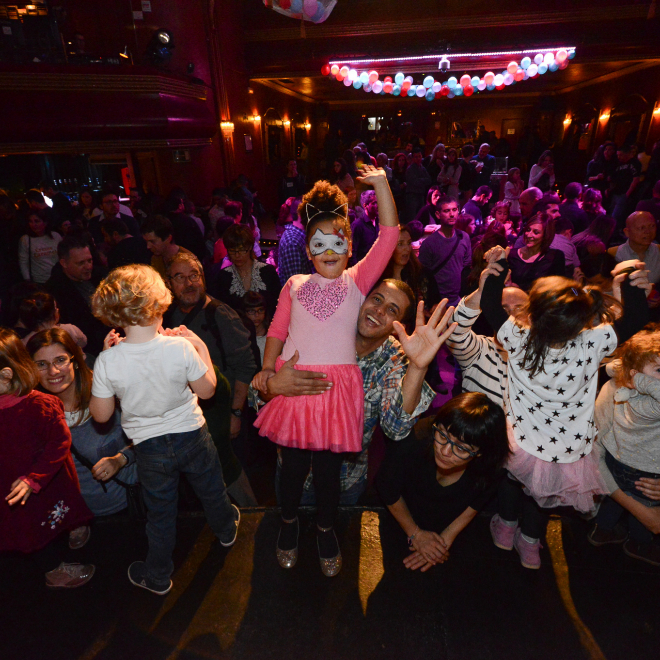 That’s what defines DJ Mom’s challenge, putting everyone in a good ambience where everyone enjoys together. The volume of the music is slightly lower than in a traditional party, so as not to annoy pregnant participants. They also serve non-alcoholic cocktails. 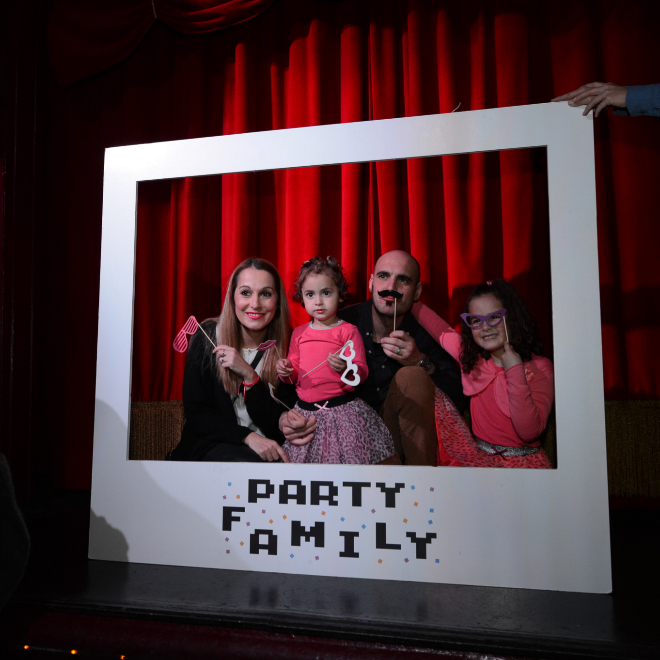 The fun begins at the photobooth at the entrance, where families portray themselves in a Polaroid frame, to honor the eighties touch of the event. As in every discotheque, there is a VIP area, but in this case it is dedicated to mothers breastfeeding their babies. There is also a ‘car park’ and ‘mini VIP lists’, where the special guests are the children and not the parents. Among the VIP list you’ll notice the son of Martina Klein or children of film producers. In addition, single-parent families can benefit a discount, and groups are offered special packs. 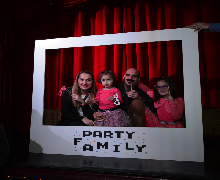 Music is the main entertainment of the ‘family parties’, but not the only one. There are also make-up artists who paint fantasy faces on children and parents, magicians, etc. These parties are held once a month, from five to eight in the afternoon approximately. Enjoy our aparthotels for family in Barcelona!